How Can I Implement <em>Choosing Wisely</em> in My Community? An important part of Choosing Wisely is educating patients about overuse and the potential harm from unnecessary treatment. The resources below can help community organizations and employers engage consumers in the campaign. The report “Lessons Learned from Patient Engagement” shares insights from project directors of grantee organizations about engaging patients, families and caregivers in Choosing Wisely conversations. The American College of Radiology and the Radiological Society of North America’s RadiologyInfo.org provides information to help patients understand how radiation therapy and various radiology procedures are performed. This document guides community organizers through the process of planning a town hall meeting on Choosing Wisely. This brief guide, “How to Engage Your Group/Business with Choosing Wisely – 3 Things You Can Do“, is meant to help you get started in sharing useful information to help others engage in conversations about the overuse of tests and procedures and support health care providers efforts to help patients/consumers make smart and effective health care choices. This guide from Baby Boomers for Balanced Health Care helps facilitate small group community conversations about overuse in medical care and counter the idea that more is always better. The guide includes a one-page orientation for facilitators, followed by a process guide, handouts and videos. 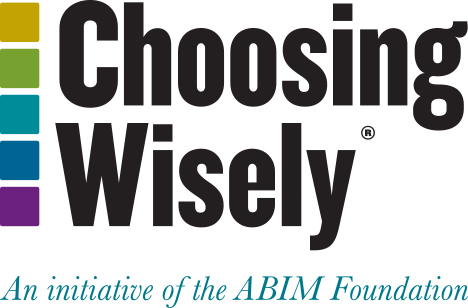 Email us to join our Choosing Wisely Learning Network, which includes a bi-monthly webinar series highlighting the work of past and current grantees who are implementing the campaign in their community or system and expert guests sharing best practices for reducing overuse. Learning network members also have access to a shared virtual space and receive a monthly resource email and the Choosing Wisely Connect email. These videos can be used on your website, social media or in your waiting room to raise awareness about Choosing Wisely.